Wouldn’t we all like to live somewhere for free? Actually, the question probably should be, who wouldn’t like to live somewhere for free? When the place in question is somewhere as stunning as Thailand, I’m almost certain that I would get a resounding “hell yes!” from everybody who would grasp at the chance. So what do you think? Would you like to live in Thailand for free? If you’re jumping up and down at the thought alone right now, then you’re going to want to read on about how to make this dream a reality. When we break traveling down to the costs, usually, accommodation takes up quite a big chunk of the budget. This is true for a lot of countries, however, in Thailand, it doesn’t make the kind of dent that you would expect. Although this is true, who doesn’t want to save $10 a day for accommodation? And for that matter, free food and transport as well? By now you’re probably thinking that this is all too good to be true, so I’m going to put you out of your misery. Here is a couple of ways of how you can live in Thailand for free and other (almost free) ways that you can do it as well! Our number one method for how to live in Thailand for free has to be recommending the TEFL Internship; as one of the world’s top TEFL destination, where better to teach English than in paradise itself? This program is incredible because it will train and give you the basic TEFL qualifications, and also provide you with a paid teaching placement in Thailand. So while you’re teaching in an informal primary and secondary Thai school, you will benefit from rent-free accommodation and a monthly allowance of 30,000 – 34,000 (THB) Thai Baht which is more than enough to live off in Thailand. That’s almost $1000 a month without paying anything for rent. Topped off with insanely cheap food (hello, $1 pad thai!) 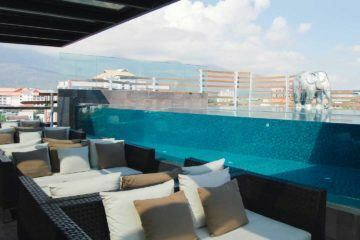 and modern day conveniences when you live in big cities, Thailand is an awesome place to live. 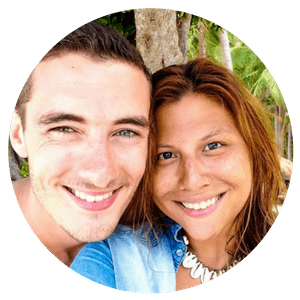 Just ask Anna and Tom, founders of Adventure in You who lived in Thailand for around 8 months. If you’re just about to start dabbling in the teaching English abroad world, this is one of the best experiences and opportunities we’ve seen. Not only will they train you and give you your TEFL qualification, this paid internship opportunity afterward is a great way to test out if teaching English is really for you. So, with plenty of money to save, or use to travel and sightsee on your weekends off, what’s the catch? That’s the thing, there isn’t one! If you have a passion for teaching and are dedicated to the course, then the 240 hours of training over the 4 months will be all the more rewarding. As another added bonus (yes there’s more! ), when the teaching semester ends, you get to head to the coast and soak up the sun. With endless beaches, island hopping and a bustling nightlife, this sounds like a pretty sweet deal to us! A backpacker favorite for decades is volunteering abroad and why wouldn’t it be? 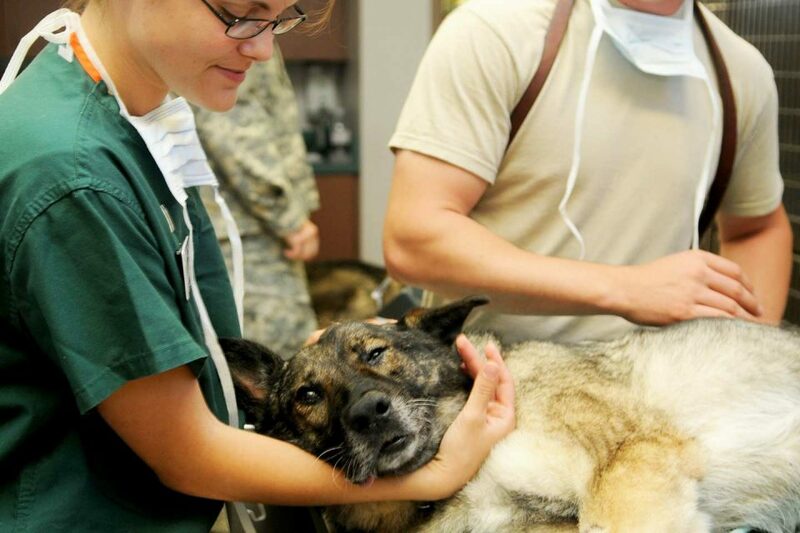 Nothing compares to doing something you’re truly passionate about and in a place that really needs it. 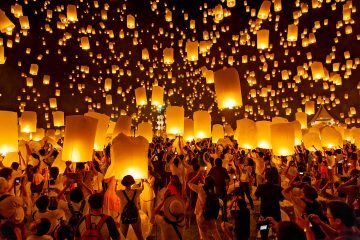 Thailand is no exception and actually offers an abundance of volunteering opportunities suitable for everyone regardless of your budget. If you want to volunteer in Thailand make sure to do your research first, as some projects offer free accommodation and meals, while others only offer one or require you to self-fund. 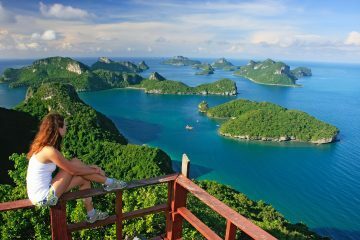 Regardless of the requirements and benefits, you can be sure that volunteering in Thailand will be cheaper than almost anywhere else in the world! Father Ray Foundation – A home for 850 orphaned, abused and disadvantaged children. Daughters Rising – Provides support and aid development in isolated, rural communities in northern Thailand. Peace and Happiness Foundation – Teaching unprivileged children. The Foundation of Life Women’s Center – Provides support for women. This project offers two free meals a day. 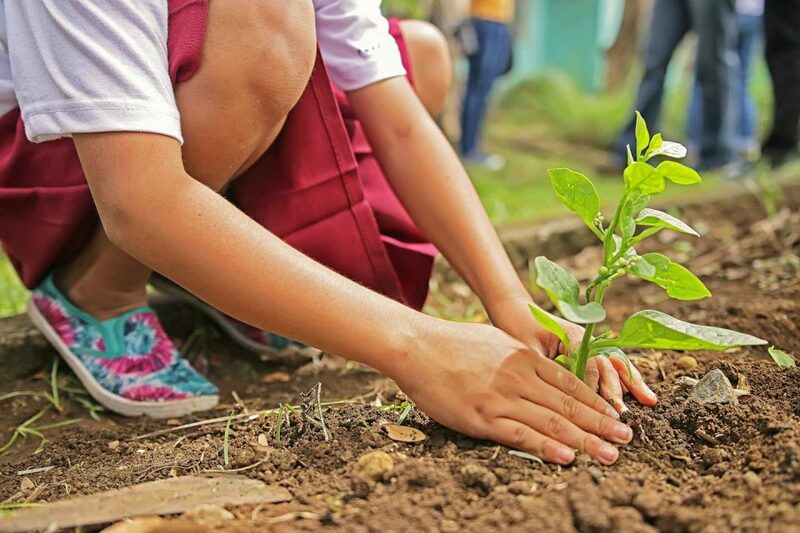 Naucrates – Focuses on wildlife conservation (endangered species like sea turtles), mangrove restoration, natural resources management and community development. Similar to volunteering, you also have loads of help exchange networks which you could tap into while in Thailand. A lot of these opportunities are from hostels who are looking to give you a free bed in exchange for a couple of hours of work. Wwoffing is also quite popular in Thailand with heaps of resources and listings of people needing some farm/ gardening work. Listed below are a few help exchange networks which you can check out. Hostels like the quirky Clayzy House sometimes offers volunteers free stays if you help out. If you do some artwork and help make their space a little bit more creative, you can also get free meals or a beer! Apart from the ones listed above, you can also travel Thailand for free by getting a bit creative with your accommodation costs. 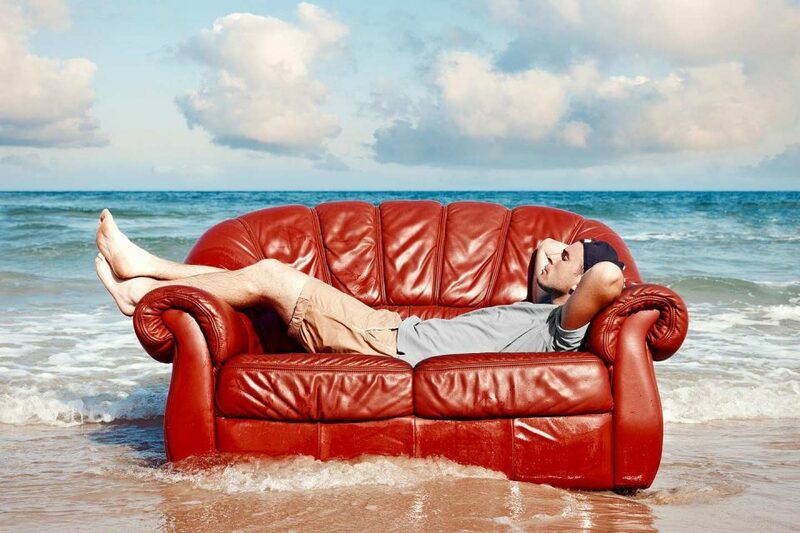 For the classic backpacker method, try your luck with couch surfing! Not only is it free accommodation, but it is also the best way to meet local people and have some truly unique experiences. If this isn’t your style, then how about a home exchange or using an App called Go Cambio to stay with hosts in exchange for your services? Whatever your preference, whether that is camping or hitting the road and living the van life, getting creative with accommodation is an awesome way to live in Thailand for free! 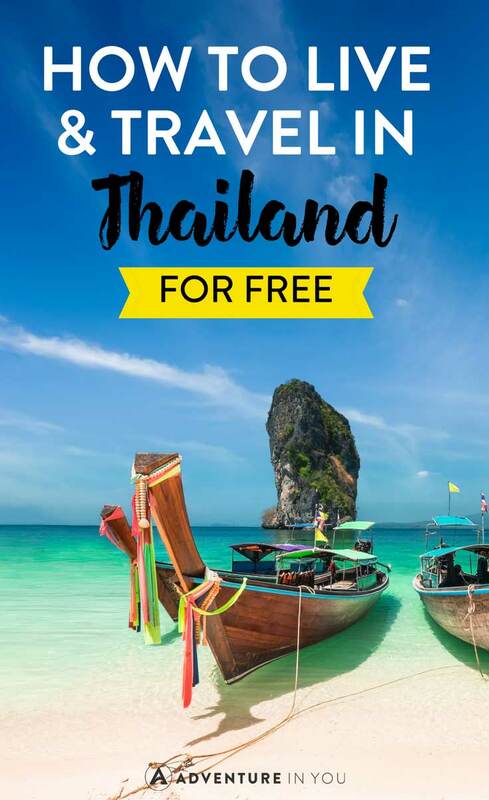 While the ones listed below aren’t exactly free, they still allow you to live and travel around Thailand without having to spend your personal savings. A lot of these will allow you to break even, given the minimal cost of living here. Obviously, we have a particular bias to this option as this is how we fund our lifestyle, but trust us when we say that it is worth it! 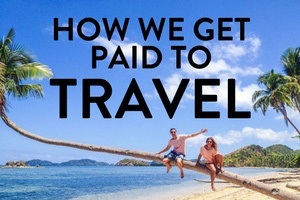 Aside from giving you the freedom to travel around and earn money, if you have a travel blog and have a particular knack for reviewing accommodation, you can literally travel around the country without paying for hotels or hostels! 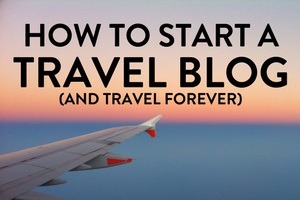 Blogging is an easy way to talk about what you know and love and is something literally ANYONE can do. Yes, it is hard work but the world of blogging has opened up the world to people like you and me, giving us the opportunity to write about the things we are passionate about and build an audience. In its most simple terms, you can find your niche, build your blog, write valuable content and start making money! 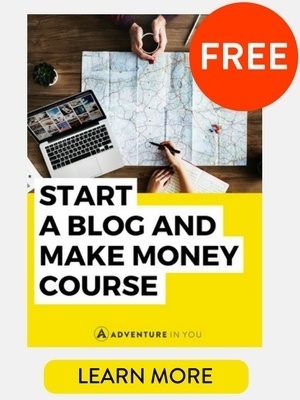 Later down the line, you can then even expand to creating an app or writing and selling e-books- just like what Adventure in You is currently doing. 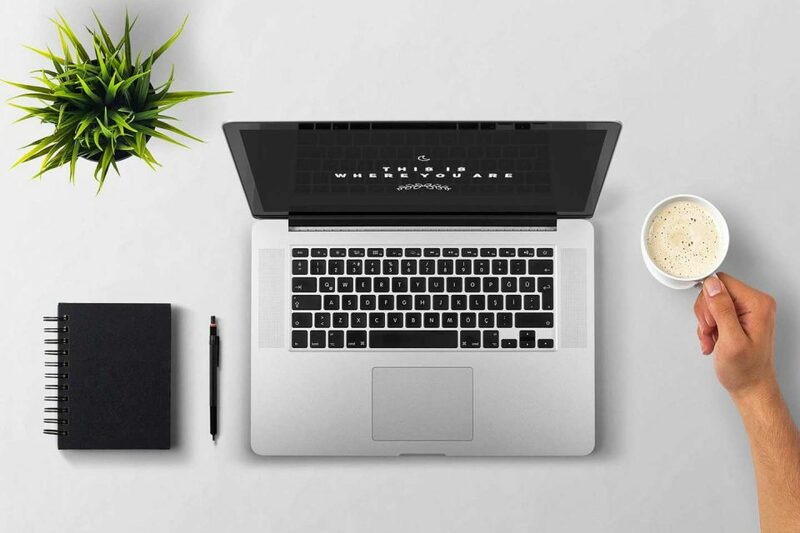 Editor’s Note: If you want to find out more about blogging, here’s our step by step guide on How to Start a Blog That Makes Money. Apart from blogging, there are other ways for you to make money online. Anything from tutoring online, dropshipping, becoming an e-book author, and even owning your own online store. The opportunities are really endless. Working online can allow you the freedom of living and traveling in a country. 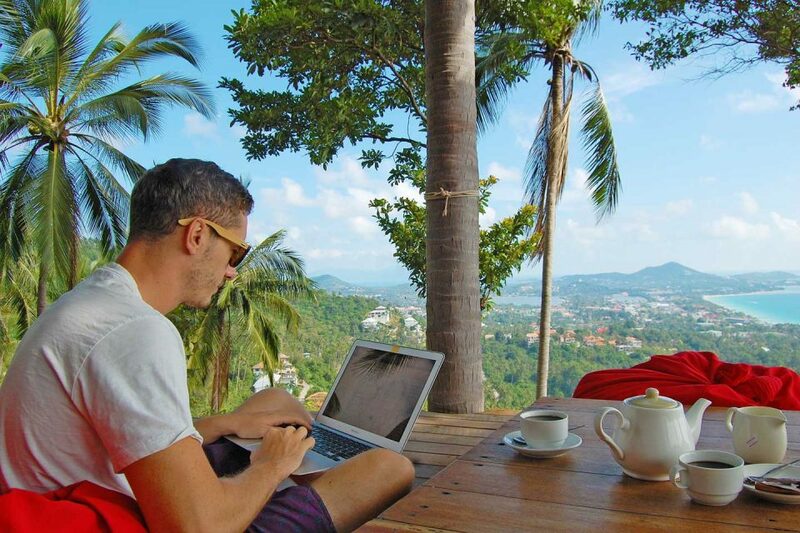 In fact, the word digital nomad is becoming more and more popular these days, with Bangkok and Chiang Mai becoming popular places for people to grow their businesses. Books like the 4-hour Work Week and $100 Start Up have encouraged people to redesign their lives and find alternative ways to live and travel. You can work as a freelance writer, graphic designer, translator, and even video editor. Bottom line is, there are heaps of jobs that you can do from the comforts of your own computer which means you can work from wherever, whenever it suits you. Lastly, if you really want to live and travel Thailand for (almost) free, utilize your skills and find a job that can help you get by. Whatever your skills are, you can use it to jobs that will allow you to travel for longer. 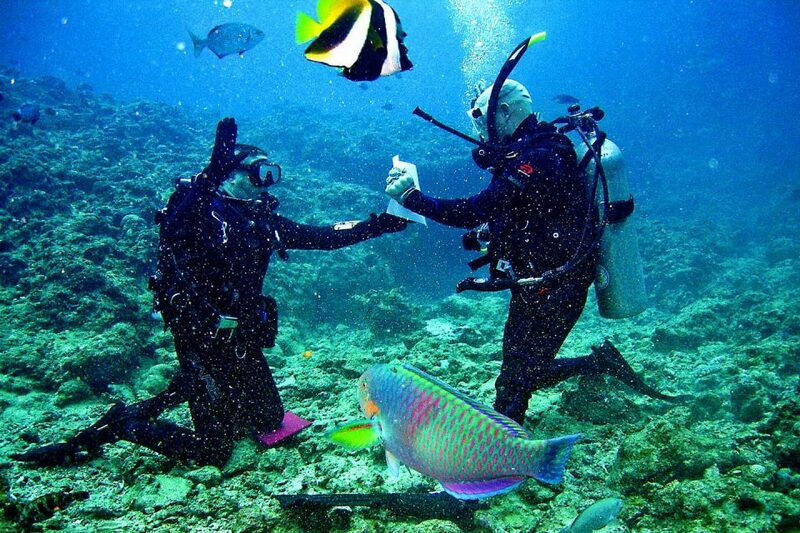 From working behind a bar or teaching scuba diving on Koh Tao or the other islands, you can look at taking the odd job here and there in order for you to be able to travel and live in Thailand. If you’re looking to get a work visa, be wary about this as there are actually just a select number of jobs that are available to foreigners as technically, working in Thailand without the visa isn’t allowed. So before you take on any job, make sure everything is arranged properly and legally! Resources: Check out the Thailand Life job board! So what are you waiting for? Whatever way you choose, there are many ways that you can easily live and travel cheaply around the land of smiles! What to Eat in Thailand: Food You Will Love!